Tabletop – 1,0-3,5 cm thick, specially selected, smooth solid oak wood. It has various shades, dark knots and bright lines running along and across the tabletop. Each product is individual and therefore, depending on the batch of wood, it also has its own unique features, colour and wood grain. 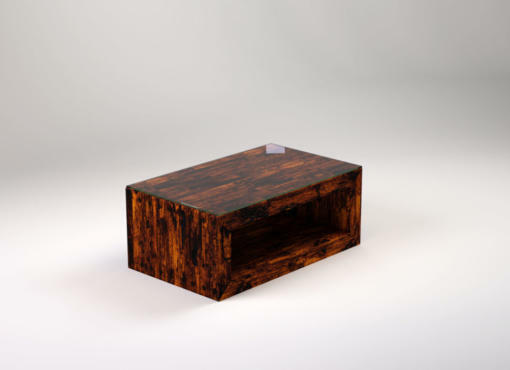 EL coffee tables are characterised by elegant simplicity and sophisticated design. Excellent quality of craftsmanship and natural materials make those centre tables both modern and timeless. The perfect piece of furniture for the contemporary living room that will serve for years. The coffee table will complement any living room seating ensemble and will also be a great touch in an elegant reception. The EL lounge table is designed to be the centre of attention with its minimalist style and high quality materials. 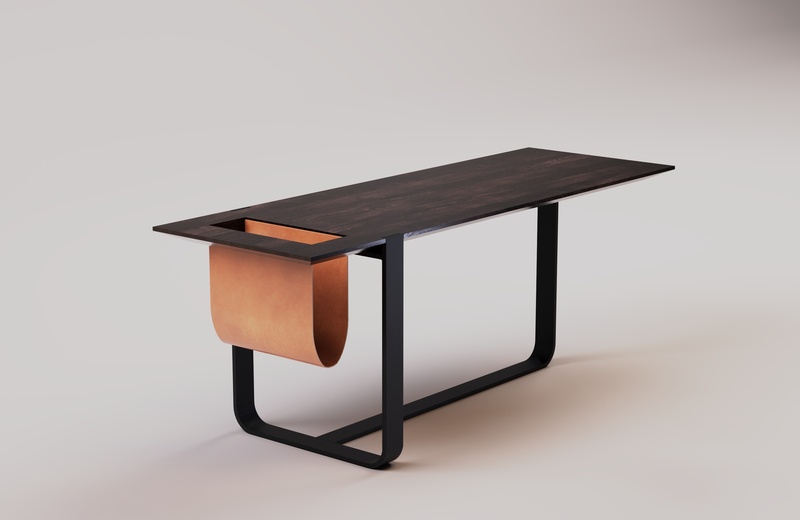 The wooden tabletop is made of solid oak in the colour of dark chocolate. This deep tone was obtained thanks to the use of special, fully natural wood oils. The edges of the table are formed with sharp, strong lines. In the middle part, the top is 3,5 cm thick, while at the edges it’s only 1 cm thick. The coffee table is equipped with a real leather newspaper holder. It allows to conveniently keep newspapers and magazines in a place easy to reach. This is a very practical solution for storing the current press, making it easier to keep order on the tabletop. In addition, the leather element adds a distinct character and impresses with great attention to details. 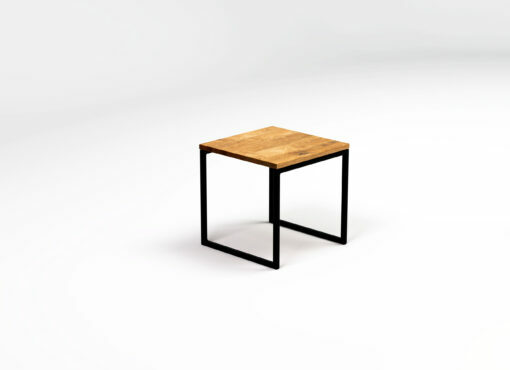 The base of the coffee table consists of two steel frames in black, arranged perpendicular. Extremely functional solution that additionally strengthens the dynamic form of furniture. At the same time, it’s inspired by the very popular, industrial trends in modern interior design.